Drawing pencil delivers black opaque laydown. Round edge hexagon is finished in turquoise blue with aluminum cap. Use on paper or vellum. 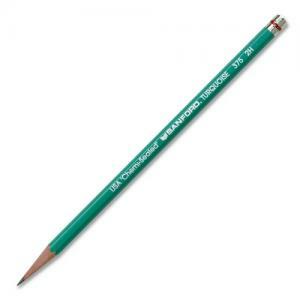 Drawing pencil does not have an eraser.